Scott Barnim is the current feature artist in the gallery. Drop by Clay Design to see his latest work. 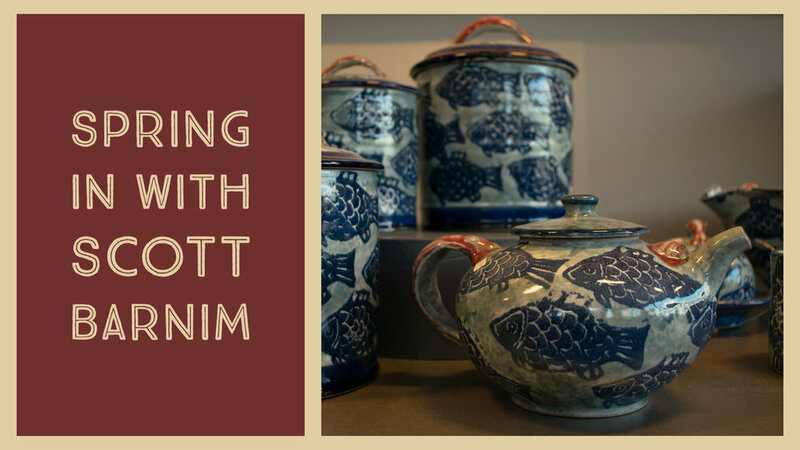 A long-established Ontario favorite, Scott inspires with a bountiful and friendly collection of mugs (lots! ), bowls of all sizes, platters, butter dishes, teapots and more. please come revel in our great selection.